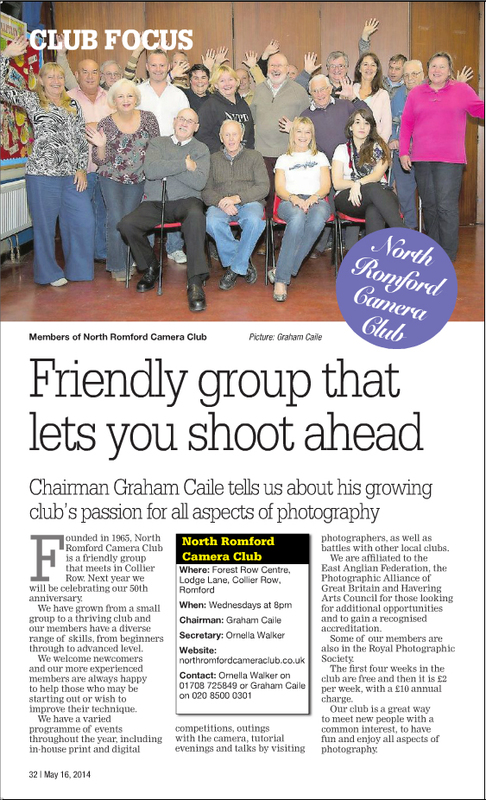 Romford Camera Club: May 2014. In The News! Local paper features us again.